It’s the biggest Canada Day celebration outside of Ottawa! 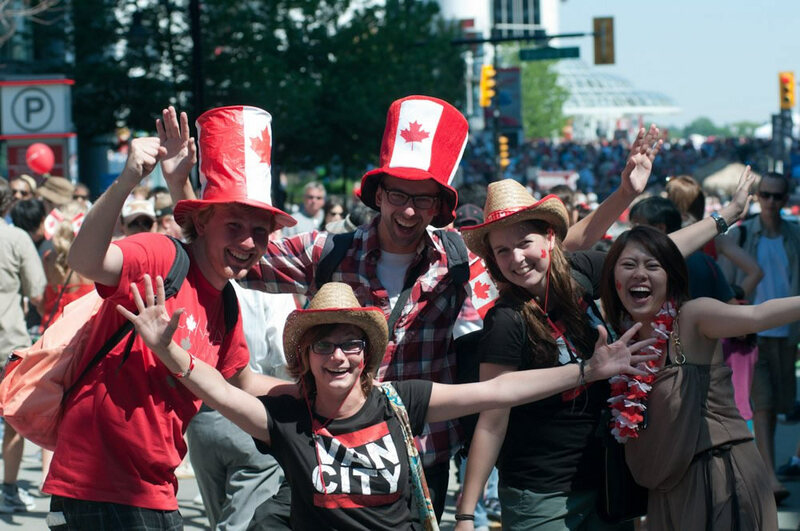 Canada Place is hosting an all-day event that’s jam packed with patriotic fun. From 10am until 6pm you and yours can enjoy live music from amazing Canadian artists and family-friendly events and exhibits. At 10am there will be a citizenship ceremony, a heartfelt event that will be captured by the Global News team where Canadians can affirm their citizenship while welcoming 60 new citizens. For more information about all of this and much more, visit the Canada Place website. End the day with the Canada Day dual barge simultaneous fireworks show! The spectacle will begin at 10:30 and will be most visible from Canada Place, Harbour Green Park, Coal Harbour, Stanley Park, and Crab Park. Click here for more information. The North Shore Canada Day parade will take place on Sunday rain or shine. Parade starts at 10 a.m. at Boulevard and 13th. Visit their website for a map. 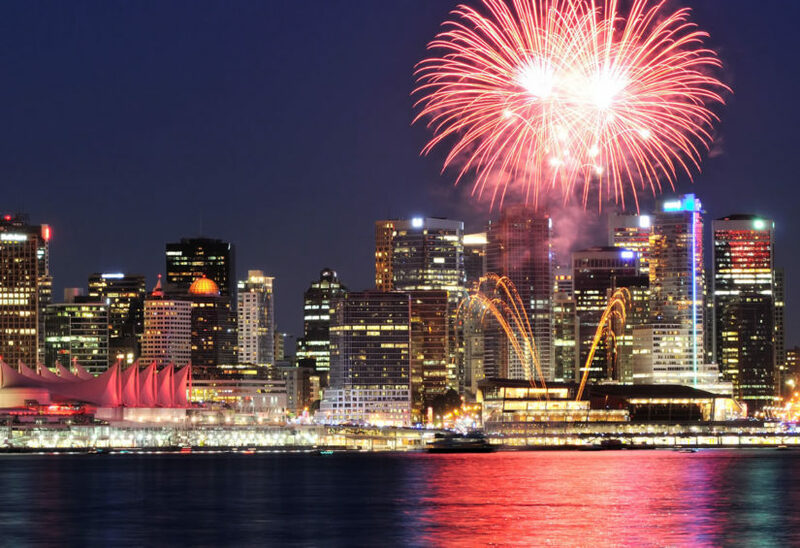 In North Vancouver’s Waterfront Park from noon until 4pm there will be a Canada Day market with live music and dance performances, food, and even free cupcakes. This market is a proud zero-waste event and promises to be fun for the whole family. 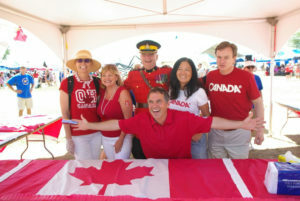 For more information, visit the North Van Canada Day website. Afterwards, head to John Lawson Park in West Vancouver and enjoy a picnic style dinner in the great outdoors with live entertainment starting at 4:30pm. Everyone is welcome to either bring their own food or take advantage of the incredible food trucks that will be there. Stay until 10:30 for the Canada Day fireworks barge display which will be visible from the park. For more information, visit the West Vancouver website. For a full day of Canadian fun, check out the annual Steveston Salmon Festival. What better way to celebrate Canada’s birthday than with one of its most significant icons, the salmon? Start the day early with a full pancake breakfast from 6:30 until 11:30 then enjoy the kids bicycle parade, a Canada Day parade, multicultural displays and martial arts demonstrations, art shows and kids crafting, the food fair, a children’s festival, a horticulture show, live music and dance performances, and of course the event that the festival revolves around – the salmon barbeque. 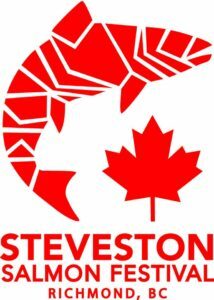 For more information about all of these events and more, visit the Steveston Salmon Festival website. Canada Day celebrations will be held outside of Edmonds Community Centre from 11 am until 2:30 pm and will include all-ages face painting, live music, arts and crafts, and cake to honour Canada’s birthday! For information regarding this event, visit the City of Burnaby website. 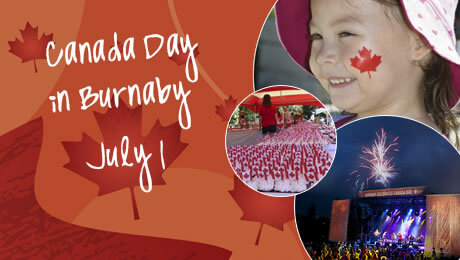 Afterwards, and if you are still in a celebratory mood, check out the Canada Day event happening at the Burnaby Village Museum until 4:30 pm where there will be a parade, games, historical facts, and more cake. For more information, visit the event webpage. For some of the best Canada Day entertainment, go to the Bill Reid Amphitheatre. The event will feature amazing live music, including Serena Ryder as a headlining act, as well as dance performances, amusement rides, activities for seniors, a drone race, fairy tale telling, food trucks, photo booths, board games, and a sports zone! The event will last all day from 11 am until 10:30 pm. For more information, visit the the City of Surrey’s website. 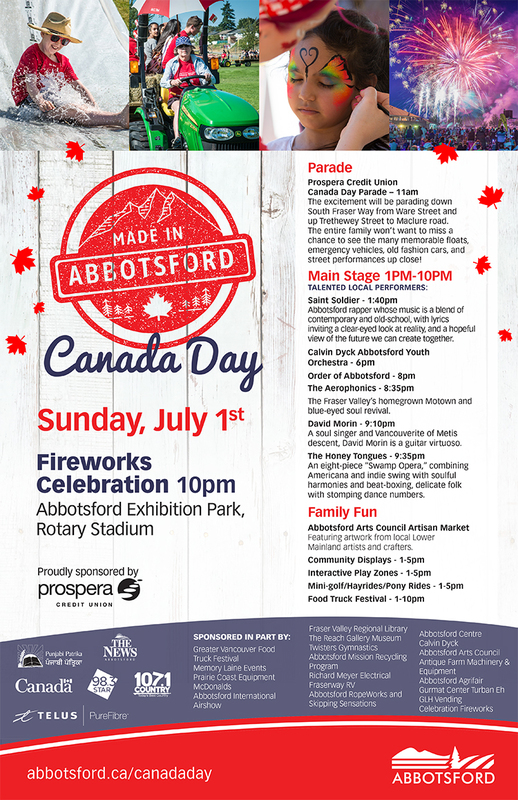 Join in the All Star Canada Day celebration at the Abbotsford Exhibition Park from 11 am until 5 pm and enjoy a patriotic parade, family friendly live music all day long, food trucks, hay bale rides, mini golf, and a kids play zone. Also featured will be the Abbotsford Arts Council Artisan Market, featuring artwork from local Lower Mainland artists and crafters. At 10 pm there will be a Canada Day fireworks show that you will not want to miss. Visit the event website for details.